With all these companies trying to innovate reels using more plastic, Ive been picking apart older reels to acquire. My choices? Round reels. Full metal construction, and a solid "feel". My deep inside love for round reels started when I first picked up my Calcutta 200. Using it was a dream. Strong, solid, and smooth. Then the opportunity came to pick up the Calcutta 200GTB. So I jumped on it, and sold off my 200B. Fast forward to finding some really good deals on a few Calcutta Conquest 50s. Man, what a cool little reel, that Ive only read about people having an obsession with. Now, I know the obsession with them. Recently I have acquired a Abu Garcia 4600C4. Nice reel, and has that nostalgic "feel" to it. Not as much a pleasure to use as my more "modern" style rounds, but still just fun. As I type this, I am awaiting the arrival of a Abu Garcia Morrum 3600, and a Calcutta 100XT to arrive from Japan. This past weekend I got out on the water with some of my "round reels" to play. And what a pleasure it was. Especially using the MetaniumXT. Even though its not a true "round" reel, its built like one, in a different "chassis". All aluminum construction, and internals like a rock. What are some of your favorite round reels? Matt, the only ones I have and have used are several Quantum Irons, the ratios are in the 5 area, the only thing I really don't like is fixable, the handles are wood and don't have bushings that I know of, someday I might change them for better handles. They have 3 bearings but are smooth and tuned will cast very well. They are tanks though, aluminum frame and steel side plates, big brass gears, you know you have something your hand. They are found on ebay at decent prices but I don't want anymore, I like my palmable reels. Have a small collection of round Abu reels myself, but mostly they reside packed away in their boxes. Today quality low profile reels are more comfortable and versatile for my bass fishing. This is true, but I still love my round reels too! I like looking at them and the history of them. But I have never ever had a moments thought of geez how I would love to hold one and fish with it. Im usually old school all the way. Seems a lot of newer stuff is literally junk. However rods reels and tackle I find to be more user friendly and better in many ways. Maybe ill hold a new style round reel and feel different but so far nope. For me they make good pieces for a display case. One great thing about fishing you get to do it any way you like. I have a Calcutta 200 (not sure which model off the top of my head), but it is an awesome reel and I love it. I've had it at least 5 or 6 years and have used it a lot. There was a time when a round reel was all anyone could buy, and that's what I learned on. Even after the low profiles came out and I had bought a few that I still preferred the rounds. At one point was in a club where most of the guys were all hyped on buying the new low profiles so I bought up a bunch of round reels from them for next to nothing. I think there is a place for each type of reel and if it weren't for arthritis and some muscle issues I would probably still fish the round reels most of the time. My first baitcaster was a used 1947 Pflueger, light salt water round reel. It had been an expensive reel for it's time. Made for throwing Dacron line, it did not handle the new monofilament very well. I still have it as a wall hanger. 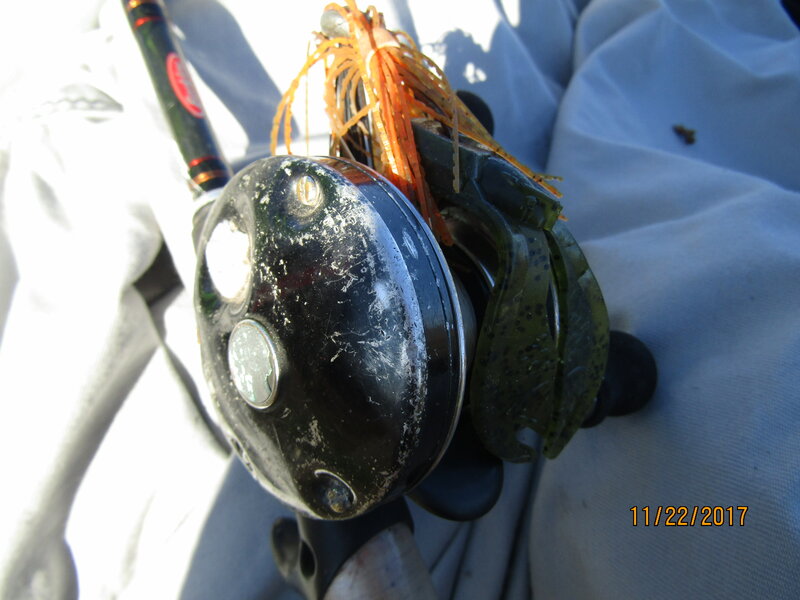 The reel that threw the furthest was an early BPS model with 2 ball bearings. After a couple decades of use, I finally retired it when the bearings sounded as loud as a washing machine. One other thing, I grew up without magnets on my reels. I turn the magnets off on my modern reels and just set drag and weight tension. I own over 100 4600C's. Over 40 of them are on rods and are used regularly. I have handful of modern, low-profile reels too, but I prefer my heavy round ones. Round is how I roll. if it weren't for arthritis and some muscle issues I would probably still fish the round reels most of the time. this. but with the muscle issues, and wanting to fish all day, or several days in a row all day, there came a time when low profile reels were key. My favorite old school round reel was a blue Daiwa Millionaire. I'm not sure the model but the dang thing was indestructible! It had a big ole dial on the palm plate that potruded out and made palming the reel tricky. I wished that I would of kept some of my old reels! The 3H were red with bushings, and the 5H's were their premium reel. I wore the push button down so far it would not pop back up on several old red Ambassasor 5000 and 5500c round reels. They were tanks bu to be honest I much prefer today's lighter low profiles. That being said, every time I see a Calcutta I get an urge to try one.